Two step daughters, one from my first marriage and one from my current marriage. A total of five grandchildren. More…One step daughter is fifty-one and one is thirty-six. I have a busy schedule. My hobby is tatting and I am in a tatting guild. I go to the gym four days a week for one hour classes of various types. I am the treasurer for our homeowners association. I also chair a team from our church for meals for The Ronald McDonald House. I am the treasurer for The Whitehall Garden Club. I am the secretary for The S.C. Shaggers Hall of Fame. In addition to that, I also chair the benevolent committee and the telephone committee for the S.C. Shaggers Wall of Fame Organization that I was inducted to in 1996. I spend as much time as is allowable with my two precious grandsons, Gauge (12 yrs.) & Granger (9 yrs.) that live nearby in Lugoff, S.C. The other three grandchildren live in Woodstock, Ga.
We all had a great time at the tea in Fort Mill, (2/6/10). I hope that the pictures and posting about our event will encourage more of our group to think about attending the next one. We had so much fun! Jane Sanders Henson has a birthday today. New comment added. Jane Sanders Henson posted a message. New comment added. It is with great sadness that I am informing you of the death of one of our classmates! Her death is in The State Paper today! 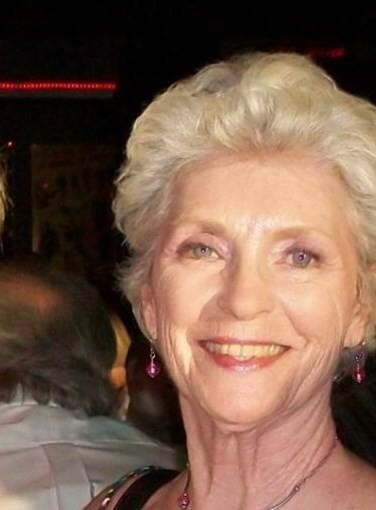 Myra Epting passed away on 10/12/18! I do not know the cause of death! 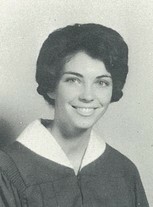 You can read her obit or leave condolences at www,thompsonsfuneral.com! Jane Sanders Henson has a birthday today. Jane Sanders Henson added a comment on Profile. Jane Sanders Henson posted a message. I got The State Paper from our mailbox and saw Cal Burleson's obit. He was eighty years old and was living in Barium Springs, N.C. The web site to offer condolences is www.mcewenminthillchapel.com. You can google the obits in The State Paper to read the write-up. Please send this out to our classmates. We all remember handsome Mr. Burleson! Jane Sanders Henson has left an In Memory comment for Roger Bradley. Yes,he was Kathye. Roger and I grew up in the same neighborhood, so not only did Roger and I start in grade school together and go through all twelve grades, but our familes knew each other as well. I can still see his parents in my mind's eye. They were both very quite people, but loved and respected by all that knew them. His mother lived quite a few years after his father passed away and I remember hearing my mother speak very highly of her. We all attended the same church that was very close to where we all lived, West End Baptist. Our neighborhood was a quiet, wonderful place to grow up. We were all pretty much on the same page, since our parents woked in the local mill. Life was simple in those days and I thank God every day for not only having wonderful Christian parents, but also for having a great neighborhood with lots of friends to grow up in..
Jane Sanders Henson has left an In Memory comment for Kerry Anderson Niver. I actually knew Kerry's entire family. We grew up together, along with her brother, Jimmy, at West End Baptist Church! She was raised in a very Godly family, just like me. We shared a lot of fun times through the years at church. I am so very sorry to hear of her passing. RIP Kerry! Jane Sanders Henson updated profile. View. Jane Sanders Henson added a comment on Vernon (Chip) Grant's Video. New comment added. Jane Sanders Henson added a comment on Vernon (Chip) Grant's Profile. Jane Sanders Henson added a comment on Charles Ray Knight's Profile. Jane Sanders Henson changed profile picture. Jane Sanders Henson added a photo to profile gallery.